Aircraft design is a blend of art and science, with the art depending on the experience and ingenuity of the designer. Dr. Marsden has 40 years experience in aerodynamic research, and design of sailplanes and light aircraft. The Skylark is the latest in a series of light aircraft designs and builds on the experience of earlier designs, as well as flying experience ranging from military aircraft in the 1950’s to high performance sailplanes and flight testing his light aircraft designs. 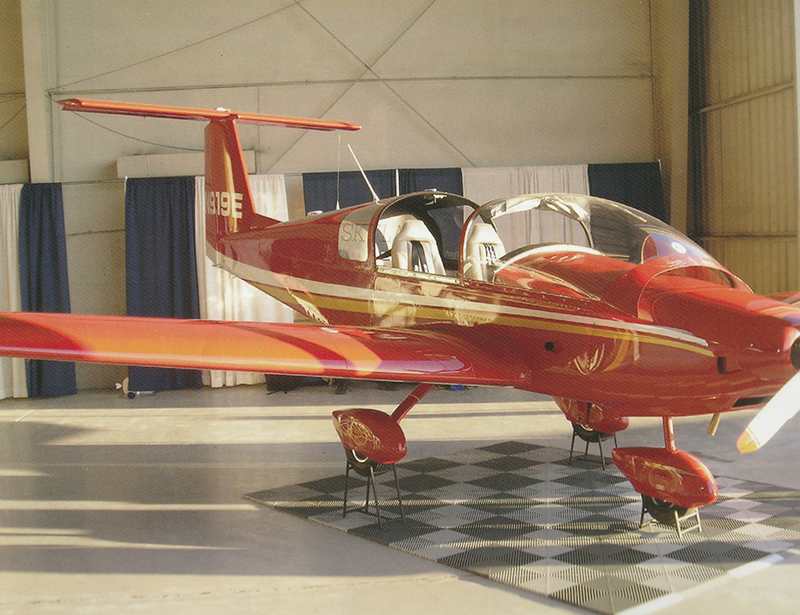 Design of the Skylark was started in January of 1999 and the first flight of the prototype aircraft was in March of 2000. 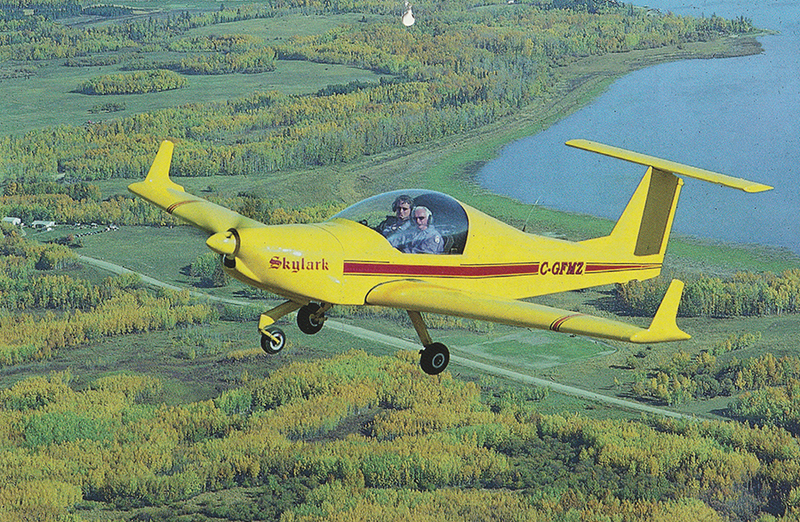 In May of 2002 an agreement was reached with DOVA Aircraft of the Czech Republic for the manufacture of the Skylark in that country with DOVA being responsible for setting up manufacturing and obtaining certification of the aircraft as a European Ultralight. Since the Skylark was originally designed for the somewhat heavier Canadian Advanced Ultralight category it easily exceeded the European requirements. At this time 250 Skylarks have been produced, either as complete aircraft or as kits, and an estimated 250 Skylarks are now flying. 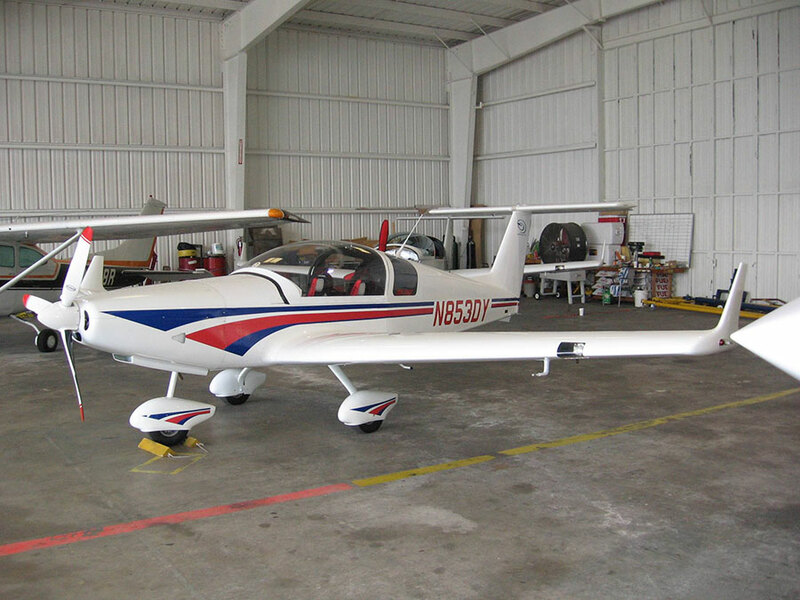 The design objective was to have a two place light aircraft with excellent handling characteristics, good performance on economical power of about 100 hp, and generally safe docile flight characteristics. All metal construction was chosen for durability and reparability. The Rotax 912 engine was chosen as a for its proven reliability and light weight. A low wing design with a cantilever wing was a matter of preference. While this design somewhat predates the LSA category, the objectives were very much the same as those of the LSA. In keeping with the designer’s experience most of the innovative features have to do with aerodynamics. A tapered wing planform was chosen, mainly because this provides the maximum wing lift. The approximately elliptical lift distribution keeps the lift constant across the span allowing the whole wing to reach a maximum lift coefficient at the same time. The tapered planform also allows more wing thickness at the root for a lighter stiffer structure. The wing airfoil section is a thick highly cambered section for maximum lift. It is a laminar section that was specifically designed to be not sensitive to the effects of leading edge roughness caused by insect accumulations or rain. It is also a modern section with separation starting at the trailing edge and progressing forward to provide a very mild stall. The high lift characteristics of the wing allow a relatively high wing loading to be used, which provides a smoother ride and better handling in turbulent air. 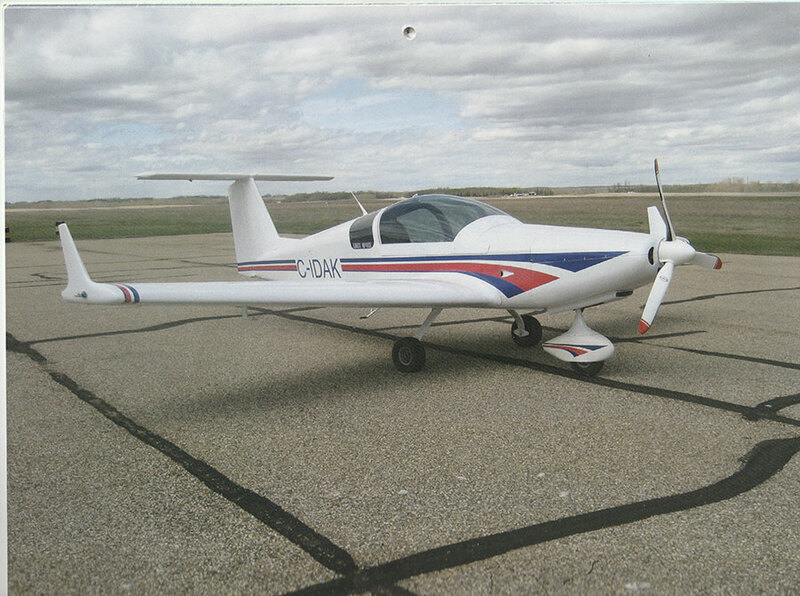 Winglets used are a design developed using the University of Alberta low speed wind tunnel. The main purpose of winglets is a reduction of the wing vortex drag, which is most important for climbing flight. 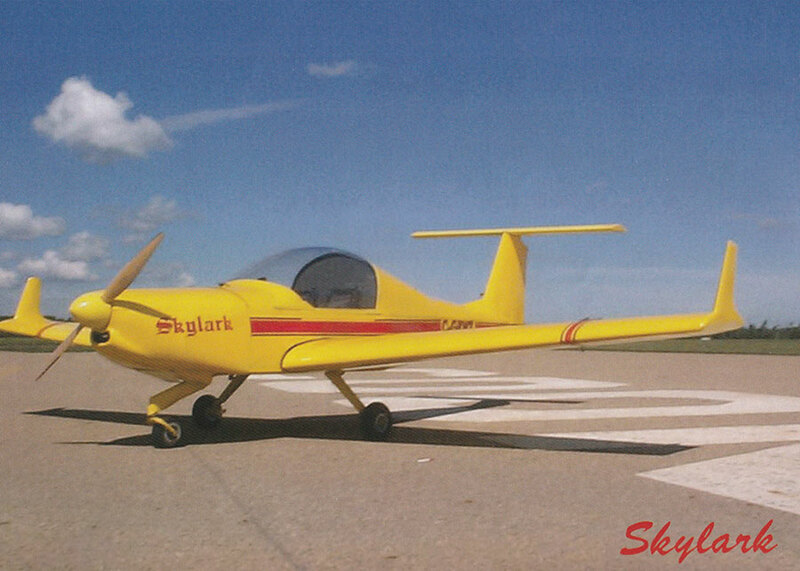 Flight tests on the prototype Skylark showed a 10% increase in the rate of climb with winglets. Winglets have other beneficial effects on handling. The winglets keep airflow attached on sections of the wing near the tips which makes aileron control more effective. Winglets also help to prevent a stall from developing into a spin. The horizontal tailplane has a relatively high aspect ratio, which increases its effectiveness. The long tail arm and effective tailplane gives the aircraft good positive pitch stability. The elevator is sealed by a continuos piano hinge along its top surface. Stick forces are light because of the small chord of the elevator (7 5/8 inches) but pitch control is very responsive. The “TEE” tail configuration keeps the tailplane out of the propeller wake to provide smooth pitch control independent of power settings. This is particularly noticeable on the flare for landing. The nice control makes for smooth landings. Both the fin and horizontal tailplane have a two spar structure that provides strength and stability. The main undercarriage legs are fibreglass spring legs. Fibreglass is an excellent material for spring gear legs because of its high strength and flexibility. It can be made flexible enough to absorb landing loads while still being strong enough. The hollow fibreglass gear legs are made in the Czech Republic. They weigh only about 20% of the equivalent legs made from steel. The steerable nose wheel is driven directly from the rudder pedals by push rods. The rudder is controlled with cables, directly from the rudder pedals. The main wheels are equipped with hydraulic disc brakes actuated from toe brakes. All controls except the rudder are actuated by push rods. The use of push rods and good bearings in the control system provides firm control with good aerodynamic feed back for the pilot. The controls are generally lighter and more responsive than on older general aviation aircraft.